All of these ancient structures required humans to organize themselves and their actions effectively to achieve an epic objective. To this end, project management, even though it wasn’t known by this name at the time, would have been in place to ensure these amazing structures were delivered in a systematic way. Each of these structures would have had a business case – the Pharoah commands it and it must be completed before his death in the case of the Great Pyramid. Following this, each of these structures would need to be planned, executed, monitored and controlled, and closed. In doing this the “project manager” would need knowledge of scheduling, resourcing, scope management, quality management, communications management, and risk management etc. Again, these may not have been grouped together under the single role of project management as they are today but they must have been understood in some form. Moving closer to today, the Gantt Chart was invented around 1910 by Henry Gantt. One of its first uses was in aiding the construction of the Hoover Dam, which was started in 1931. Gantt Charts are still in widespread use today, and are the default display option in Microsoft Project. In 1957 the Critical Path Method (CPM) of analysing schedules was invented by Morgan R. Walker of DuPont. Here we identify from the Gantt Chart the sequence of activities most critical to holding the overall schedule (the critical path) and focus our project management attention on ensuring this part of the plan runs to schedule, thus securing the overall schedule. 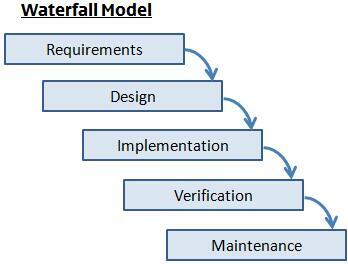 The first stage of the waterfall model is to capture all of the requirements. When all the requirements are captured they are signed-off, effectively setting them in stone, then the project moves on to the Design phase. And so we proceed through the phases in sequence, down the waterfall, until the final stage is signed off and the project complete. The Waterfall Method works well when we want to get from A to B, and it is possible for us to specify B at the start of the project precisely, and B is not likely to change during the project execution. We can then optimize how we get to B by cost, schedule speed, and product quality amongst others. These days it is in fashion to use project management methods which have their roots in Lean Manufacturing. These methods are ideal when we don’t know what exactly B is at the beginning the project, so we deliver the product in small increments, until we have something which is “fit for purpose”. 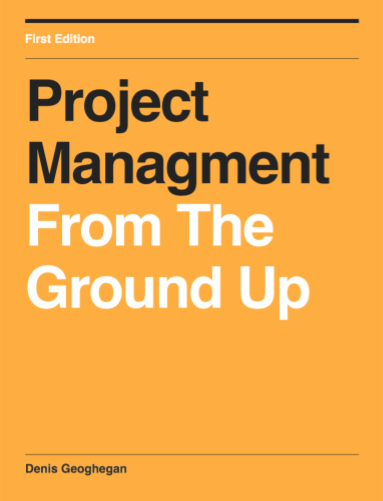 I hope this article has provided you with some very basic insight as to how project management has evolved. Modern project management techniques are covered elsewhere on this site so I’m going to stop here. Hi! Great idea to blog about history, most people in agile still don’t know who is Demming, Drucker, Taiichi. We are today in a battle of Taylor vs Deming: Command and Control thinking of early mass production -vs- Collaboration and Empowerment thinking of the Agile and Lean community. Hope this gives some ideas, greetings from an agilist in Sweden! Thanks for the comment. I am a believer that one size does not fit all and that different approaches to project management are needed for different situations. Looking at the history I think you can at least see that project cycles getting shorter and shorter. I was in Stockholm last year for a week and loved it! I found a great old record shop/cafe and bought some vinal! Would like to see the rest of the country!